Preheat oven to 450° F. Bake pizza crust for 8 – 10 minutes or until golden brown. Spread fruit jam thinly crust. Toss the cut apple slices in lemon juice and set aside. 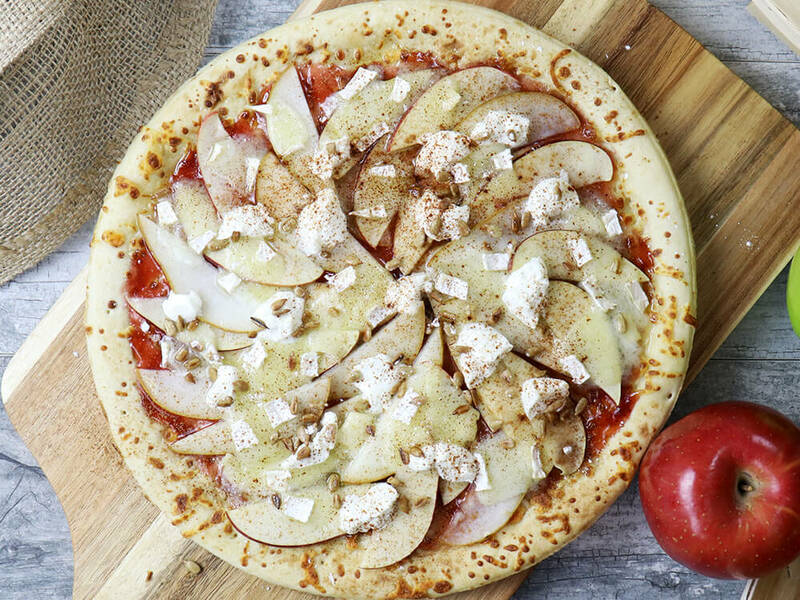 Alternate pear and apple slices around the pizza in a wheel pattern. Sprinkle Ricotta randomly atop the fruit. Sprinkle with almonds. Arrange Brie atop the pizza evenly. Return pizza to the oven to warm ingredients and melt the Brie (roughly 3 – 5 minutes). Shake a mixture of powdered sugar and cinnamon atop the pizza before serving.